"God has sent you back one of your little girls. Kelly is safe. Kathy has been taken to Him." Reeling from the bittersweet return of one of their kidnapped twin daughters, Margaret and Steve Frawley are sadly trying to go on with their lives for the sake of the remaining twin, Kelly. However, Kelly is adamant that her sister is not dead, warning, "Mommy, Kelly is crying for you and she is scared." The police, along with a twins' specialist, think Kelly is just mourning the death of her sister in her own way. But when Kelly gets bruises that appear out of nowhere, exhibits signs of a sickness that isn't hers, and offers important bits of information about the case, it becomes clear to Margaret that her daughter is experiencing twin telepathy -- she is feeling Kathy's pain and trying to lead her parents to the missing girl before it is too late. Fighting against the clock and the popular opinion that she's having a mental breakdown, Margaret Frawley uses her maternal instincts and the special bond between her daughters to bring her family back together. But there are suspicious characters at every turn -- from the executives at her husband's company who supply the money for the ransom to the wealthy neighbor who acts as the liaison to the kidnappers to the blackest sheep in their very own family. And one of them is the "Pied Piper," the person who orchestrated the crime . . . the one leading the Frawleys, the police, and even his co-conspirators to Cape Cod where he plans to wash away all the evidence that connects him to the Two Little Girls in Blue. Who did you think was the Pied Piper? Were you satisfied with the answer? Were there any characters who escaped your suspicion? If so, which ones? "Staring with disdain at his fellow kidnapper, Lucas was reminded once more that they could not have been more different in both appearance and temperament" (page 4). Compare and contrast the characters of Lucas and Clint. Is one more of the "bad guy" than the other? If so, explain why. "Why would someone take my babies?" (page 14). After the kidnapping, Margaret goes from being a hysterical mother to a proactive one. Give examples of each phase of grief -- shock, denial, bargaining, guilt, anger, depression, acceptance and hope -- that she passes through. Which phase triggers a memory that had been eluding her, a memory that brings her closer to the truth? Prior to the kidnapping, Margaret kept a journal documenting the twins' behaviors. What events does the journal foreshadow? "I've always been a just-in-case person . . ." (page 142). Examine the character of Angie and piece together her history in the book. Are her behaviors cunning and cautious? Or careless and reckless? "Everything had been clicking along so smoothly, and then the one weak link in the chain, the one he always knew was a problem, had indeed become the problem" (page 204). Who or what is the "weak link" for Richard Mason and how does it break? The color blue appears throughout the novel, some in subtle references. List them all. What does this motif add to the story? "What I like about the way this played out is that he might have gotten away with all of it if he had trusted Lucas not to tell Clint who he was" (page 321). What other instances of irony are there in this novel? Kathy and Kelly are identical twins yet they have their own distinct personalities. How would you describe each girl? Do you think they seem too dependent upon each other? Or do they each prove their own strengths by the end of the novel? Review the story The Pied Piper of Hamelin and discuss the obvious, and not-so-obvious links to Two Little Girls in Blue. Have you read other books on twin telepathy? If so, how are they similar to or different than this novel? Test your memory. See if you can guess which character said the quote below. Hand out several shades of blue velvet ribbon to your book club members and let them make their own bookmarks by picking three ribbons, braiding them, and tying off the ends. 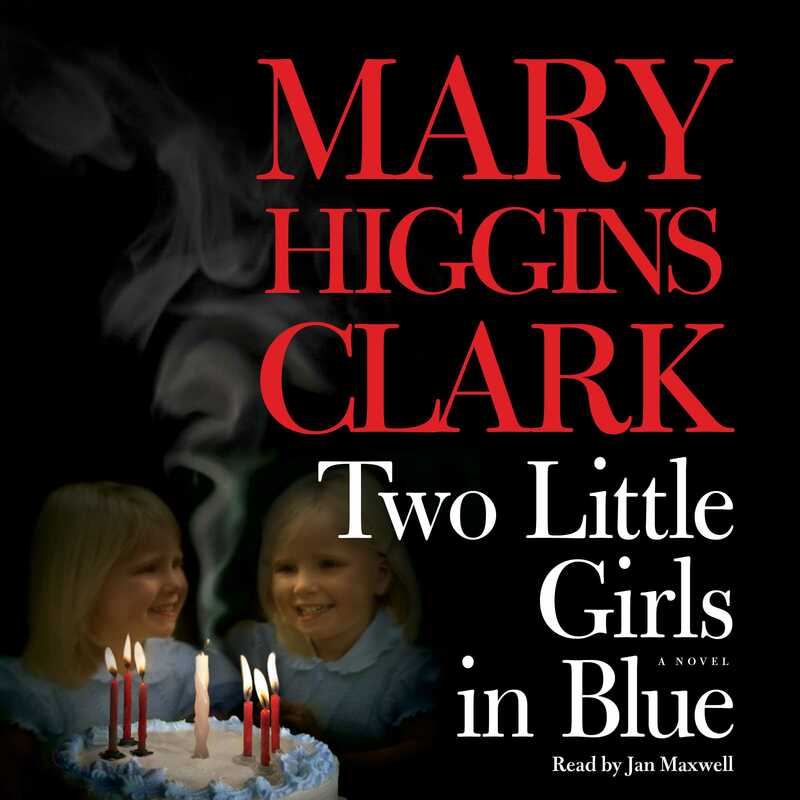 Be the detective -- hunt down a recording of the song "Two Little Girls in Blue" and play it at your book club meeting. Take your bookclub to a Mary Higgins Clark event: www.maryhigginsclark.com. Click on "Appearances." You can sign up for the Mary Higgins Clark e-newsletter at www.maryhigginsclark.com.